JOIN THE TEAM: The stable is busily preparing for the up-coming sales at Magic Millions, New Zealand Bloodstock and Inglis, which will take place in January through to April. We are happy to inspect any yearlings on your behalf and provide our thoughts at any of these sales so just contact us on the details below to arrange. We welcome all new owners and if you are wanting to gain more information about racing a horse with us please contact us. A tour of our facilities at both Flemington and 13th Beach can be arranged or we can simply have a chat about your racing needs. We regularly also have lease opportunities arise from time to time so if you wish to get into horse ownership through leasing please register your interest by contacting us via email. For more information please contact via email at sales@dannyobrienracing.com.au and register your interest, and hopefully we will be toasting to your horse in the winner's circle in the not too distant future. This colt is by exciting first season sire PRIDE OF DUBAI, winner of the Group 1 Blue Diamond Stakes at Caulfield and the Group 1 Sires Produce at Randwick. His dad was an outstanding two-year-old and was the talk of the sales given how well received his first crop of progeny were on type. He is the third foal of three-time winner QUEEN’s FASHION, who is a daughter of triple-Group 2 winner ELEGANT FASHION. 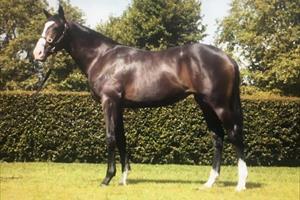 This also makes her a half-sister to Group 3 winner STAR FASHION and listed placed Classy Fashion. Of her first two foals Fashion Sense is a winner in NZ over 1400m, while the two-year-old is Edinburg who finished a slashing fourth at her only career start in the listed Merson Cooper at Sandown in November. 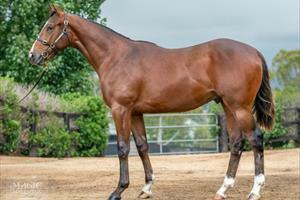 For more information about this colt contact us via email at sales@dannyobrienracing.com.au. Golden Slipper winner SEBRING has produced 50 Stakes Winners at stud including a diverse range of star gallopers including Australian Derby winner CRITERION, four-time Group 1 winner DISSIDENT, Dual Oaks winner EGG TART, Thousand Guineas winner AMPHITRITE and Hong Kong Group 1 Sprint Prize winner LUCKY BUBBLES. This colt is the first foal of three-time stakes winner THE MESSINA NYMPH. She was a very speedy mare winning all her six races over 1000m and 1100m and is a half-sister to Champion Singapore Sprinter WHY BE, who won 21 races from 1000m to 1200m. ZOUSTAR was a speed machine as highlighted by his Coolmore Stakes triumph and he has made a lightning start to his Stud career, which was highlighted this Spring when the star stallion produced the trifecta of the Coolmore with progeny in his first crop led by SUNlLIGHT, ZOUSAIN and LEAN MEAN MACHINE. His mother, Golden Phoenix was stakes placed and hails from a strong, fast American family. ZOUSTAR, who is by gun ill-fated sire NORTHERN METEOR, crossed with an international pedigree is having great early success having produced ZOUSAIN, the unbeaten ZOUSTYLE and the promising Star Fall. This colt is by exciting first season sire PRIDE OF DUBAI, winner of the Group 1 Blue Diamond Stakes at Caulfield and the Group 1 Sires Produce at Randwick. His dad was an outstanding two-year-old and was talk of the sales given how well received his first crop of progeny were on type. His dam is Dual Group 2 winning O’REILLY mare HERA. 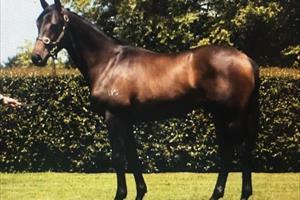 She won two races and finished runner-up in the Karaka Millions in her two-year-old season, and finished her career winning 6 races from 1200m to 2000m. This colt is her first living foal. SACRED FALLS won four Group 1s in his career which included back-to-back Donaster Handicap victories, a George Main Stakes and New Zealand Two Thousand Guineas. By O'REILLY he has a great family with his dam a half-sister to our stable's Group 3 winner and Group 1 placed SPLASHING OUT. His oldest progeny are two-year-olds. This filly is a half-sister to some elite performers with her dam JACILO producing Group 1 Queensland Oaks winner MISS KEEPSAKE and Group 2 winner VILLIFYE. 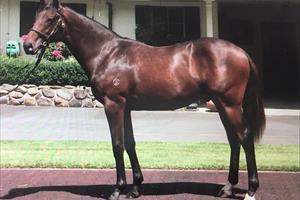 Another big attraction for our stable is that JACILO also produced MY LOCKET, the dam of triple city winner My Pendant that we train and that we expect to be around the mark in black-type races this Autumn, which will lead to an enhancement to the 1st dam on this filly's pedigree page. 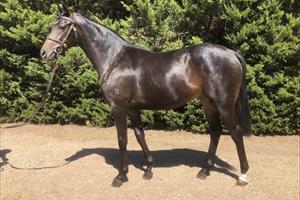 For more information about this filly contact us via email at sales@dannyobrienracing.com.au. 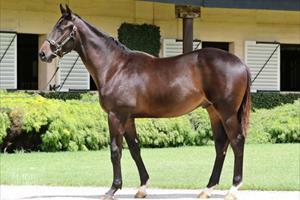 OCEAN PARK was a five-time Group 1 winner from 1400m to 2040m including the 2012 Cox Plate. With his oldest progeny being three, he has hit the ground running as a stallion with stakes winner OCEAN JEWEL and multiple stakes performers. 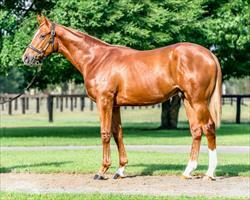 This colt is a half-brother to the stable's highly promising filly My Pendant, who has won three-in-a-row in Melbourne. My Pendant's next start will be in the Group 3 Vanity Stakes on February 16 at Flemington. SHAMEXPRESS is our own Newmarket Handicap winner who is the fastest son of Champion sire O'REILLY at stud. He had an affinity with the Flemington straight course finishing third in the Coolmore Stud Stakes as a Spring three-year-old before returning in the Autumn to win the Group 1 handicap. After a trip to the UK to contest the King's Stand and July Cup, he returned as a four-year-old to finish runner-up in the WFA VRC Sprint Classic and the WFA Lightning Stakes. His oldest progeny are three-year-olds which include the stable's sensational Group 3 winner EMBRACE ME and NZ stakes winners CYBER ATTACK and LONDON EXPRESS. Her dam is the unraced KING'S CHAPEL mare RITA MORENO who is a half-sister to Group 2 winner NATALIE WOOD, who is the dam of Melbourne Cup runner-up and Group 3 winner MAYLUCKYDAY. RITA MORENO is also a half-sister to multiple listed winner and Group 1 placed RICHARD BEYMER. This filly is bred on the same cross as EMBRACE ME. This is the dam's fourth foal. We teamed with Aquis Farm to secure this lovely colt by TAVISTOCK. His sire is on fire in the breeding barn having produced 17 stakes winners including Group 1 stars the like of Hong Kong Derby and QEII Cup winner WERTHER, Victoria Derby and Rosehill Guineas victor TARZINO, Australian Derby hero TAVAGO and four-time Group 1 winner VOLKSTOK'N'BARRELL. His dam is metro winning Fastnet Rock mare, ROMANTIC TIME, who is a half-sister to unbeaten AMELIA'S DREAM who won the Group 2 Sliver Slipper before injury cut her career short. She is also full-sister two-year-old winner and Group 3 placed Elimbari and half-sister to nine-time winner and black type-placed Youbolt. This is the dam's second foal. VANCOUVER had one of the most dominant two-year-old seasons in recent memories remaining unbeaten in four starts. He won the Breeders Plate at listed level on debut before winning at Group 3 and Group 2 level on the way to his victory at the highest level in the Golden Slipper. 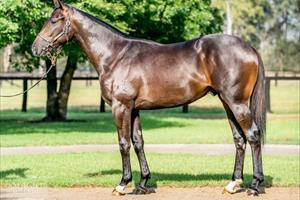 He has a great link to the stable as the sire is a half-brother to our Group 1 Sangster Stakes heroine JUSTE MOMENTE. His eldest progeny are yearlings and big things are expected from him at stud. 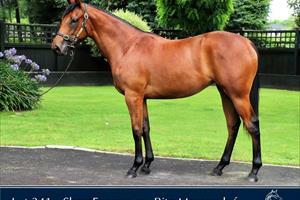 This filly also has an outstanding lineage on her female pedigree with her first three dams all Group 1 performers. Her dam MISS DARCEY was a Group 3 winner and Group 1 Oaks placed, her grand-dam MISS BUSSELL was a listed winner and Group 1 placed at two and three, while her third dam LURESTINA was a Group 1 winner. At stud her dam has produced a winner from her two foals to race and this filly is her fourth foal.